Published March 28, 2015 at 2176 × 3264 in The memorial at Manchester Airport Memorial Garden commemorating the Poles who undertook parachute training at RAF Ringway. 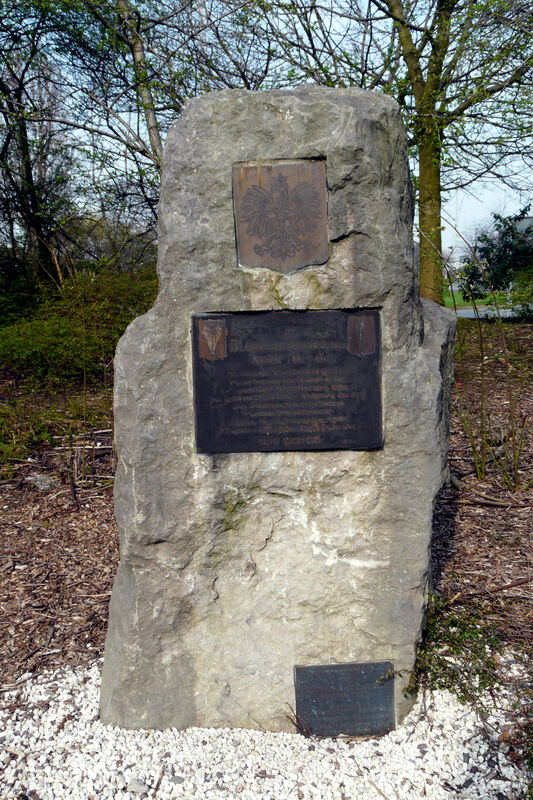 The top plaque shows Orzeł Biały (the White Eagle), the national coat of arms of Poland. The plaque at the base of the memorial records those organizations that contributed to the memorial stone.